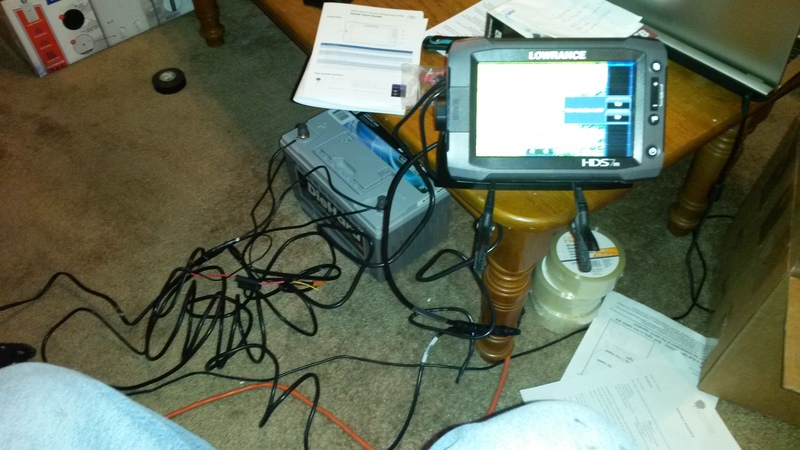 So I just received my Lowrance HDS-7M Gen 2. 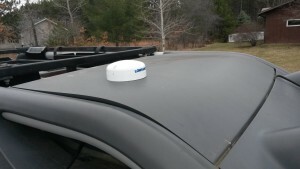 Along with the main unit I also received the POINT-1 Baja, Off Road GPS Antenna. I have not mounted it in my vehicle yet. I just temporarily attached it to a spare 12 volt battery I had in my apartment. I setup the Antenna in a window sill that has a balcony overhead and another apartment building within 40’. There is a very small sliver of sky the antenna can see. I have to say right off the bat this thing is a beast. It picked up the satellites and located my position instantly. Unlike any other lower end GPS I have used inside a vehicle. Without looking at the instructions at all I quickly learned how to navigate the easier functions through the menu. The interface is simple but also allows very complex features if desired. After the initial setup I decided to test this unit out. I am currently planning a 25,000 mile journey and the big question for me was can this unit handle the route. 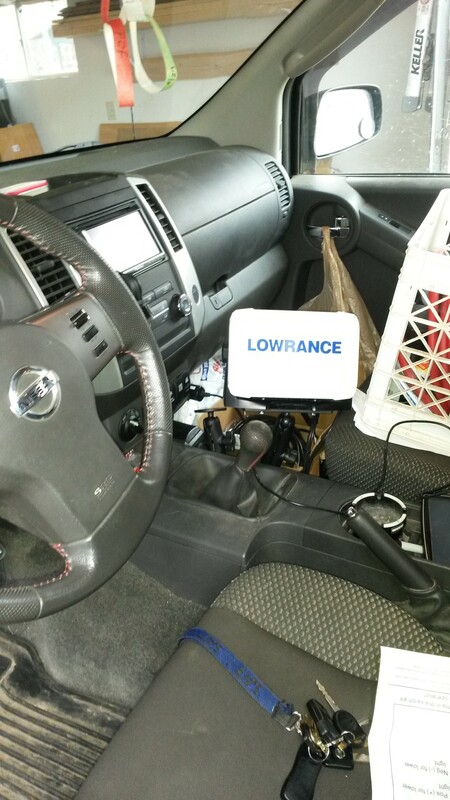 Lowrance use to advertise 10,000 points per track. Up to 100,000 points. Well my journey has over 70 tracks in it with a total of 130,000+ data points. So I loaded this on to the Lowrance system and everything appeared. I was in shock. I was figuring I would have to break down the route into separate zones. Along with all of the above fun and excitement. I also picked up the Topo Insight PRO 2014 East by Lowrance, GPS Map Card and Topo Insight PRO 2014 West by Lowrance, GPS Map Card. I popped in one of the cards. Loaded it up. (as of right now it seems like you have to turn off the system and turn it back on, got to figure out if you can do it without shutting it down). I started zooming in and zooming out moving all around the states. I have to say these cards are detailed. The factory maps that come with the GPS are pretty good. But these maps help clarify for those zoomed in details that you would really need if you are traversing by the system. 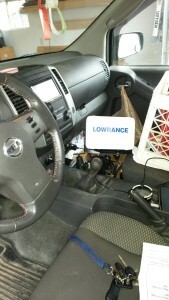 A few things I wish Lowrance did or need to figure out how to do. The track lines on the system are very narrow and when they overlay a road it is very difficult to find them without looking closely. I can see this becoming an issue. I need to figure out how to make the wider/thicker and also find a good color that stands out over the stock road colors on the gps system. I wish there where Topo maps easily available for Alaska and Canada. Currently my route has about 8,000 miles in the continental United States. But the rest are in the western part of Canada and Alaska. Along with this the default road map on the unit are not very good. Vesus the added maps I got with Topo Insight. I hope they do create these maps. Please ignore the nasty wiring job. This is the initial setup inside my apartment. Quick photo of what the GPS looks like, This is a default map and most lakes are involved not all small rivers are on it. 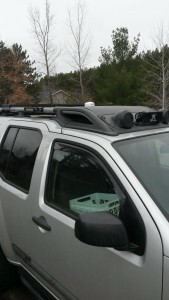 I finally got around to mounting the GPS and antenna along with running the wires for all the above. I used a Ram mount for the GPS and it worked great. Hold that heavy thing sturdy without any issues. Using the template that Lowrance provided I marked the holes in my winddam and drilled them out and everything lined up great. 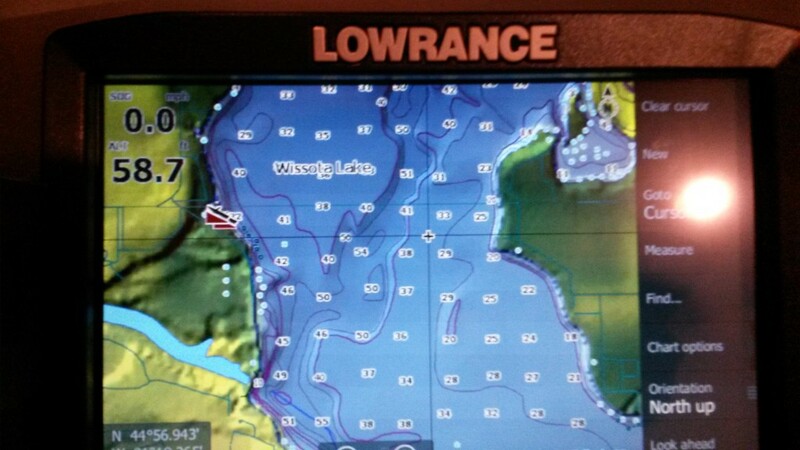 Lowrance also provides a template for the GPS if you want to flush mount it. I did not use this one as I don’t have a place to mount it this way. I used the GPS on a 1000mile trip from WI to LA and it worked wounder. Gave me a good 18hrs to fiddle with it and figure out what track color showed up the best along with adjusting some settings.